The decision was taken after a meeting with local Trinamool Congress leaders Arabul Islam, Abdul Razzak Molla and Kaiser Ahmed at state secretariat Nabanna in Kolkata. 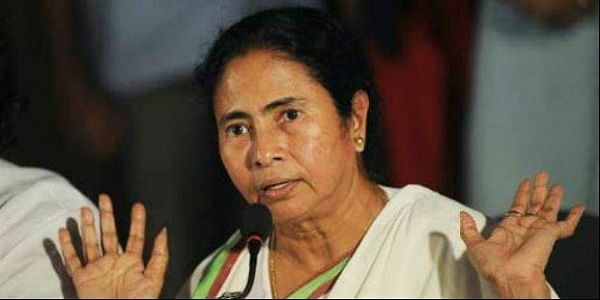 KOLKATA: In an attempt to break the deadlock over an agitation against a power grid at Bhangar in South 24 Parganas district of West Bengal, chief minister Mamata Banerjee declared that not only farmers losing land to transmission towers but also those above whose lands the transmission lines pass will be monetarily compensated. The decision was taken after a meeting with local Trinamool Congress leaders Arabul Islam, Abdul Razzak Molla and Kaiser Ahmed at state secretariat Nabanna here on Friday. Banerjee had earlier this year assured that the power grid would not materialise until the locals agree to it. Transmission lines of the 440 KV power grid will pass through 80 villages in several south Bengal districts. party CPI (ML) Red Star, said that the agitation is not for compensation but against the very power grid which they claimed will affect a large number of people due to the usage of greenhouse gas sodium hexafluoride in the transmission lines. On the other hand, a day after violence at Bhangar between agitators and TMC workers, the region remained shut and wore a tense look with agitators taking out a rally at Anantapur village in Bhangar. Police conducted flag marches through the villages in the region on Thursday night.